The EC would like to wish you all a very Happy New Year! Our next event is Saraswati Puja which will be observed on Saturday February 13th at Hoover Middle School (3501 Country Club Ln. Lakewood, CA 90712). 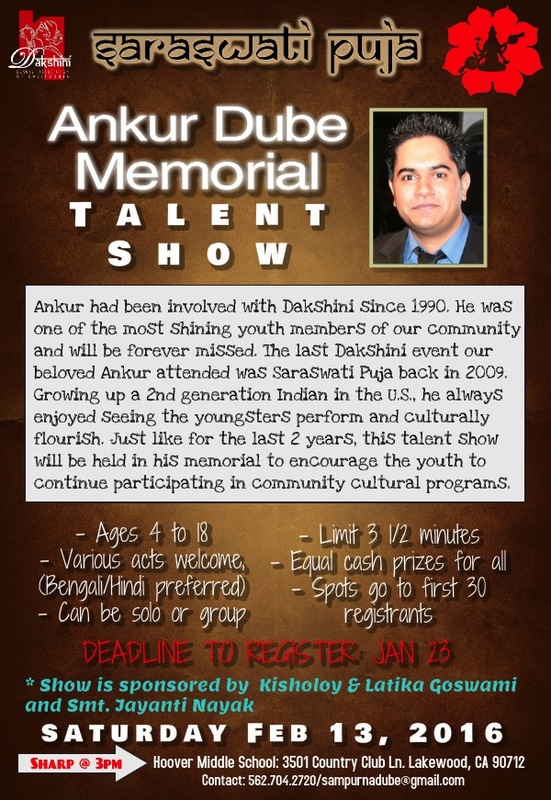 Please see details regarding the Ankur Dube Memorial Talent Show. Schedule and event details will be sent shortly.